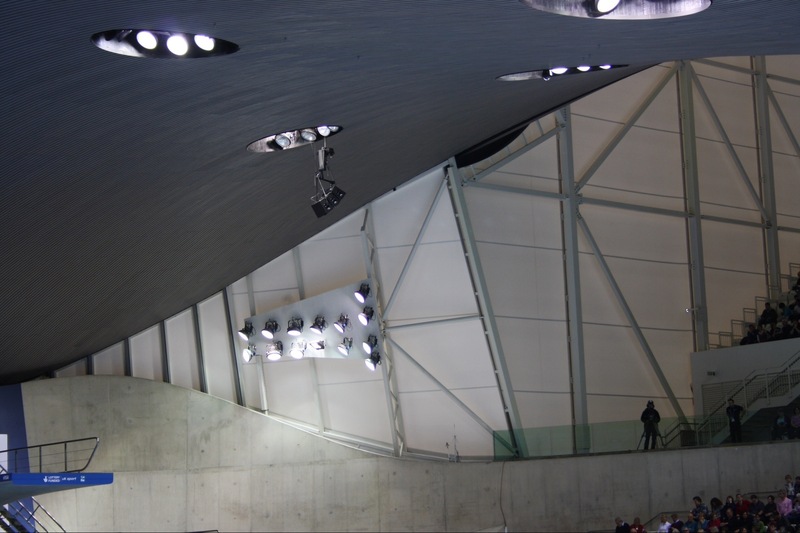 The Aquatics Centre will be the most arresting building on the Olympic Park. 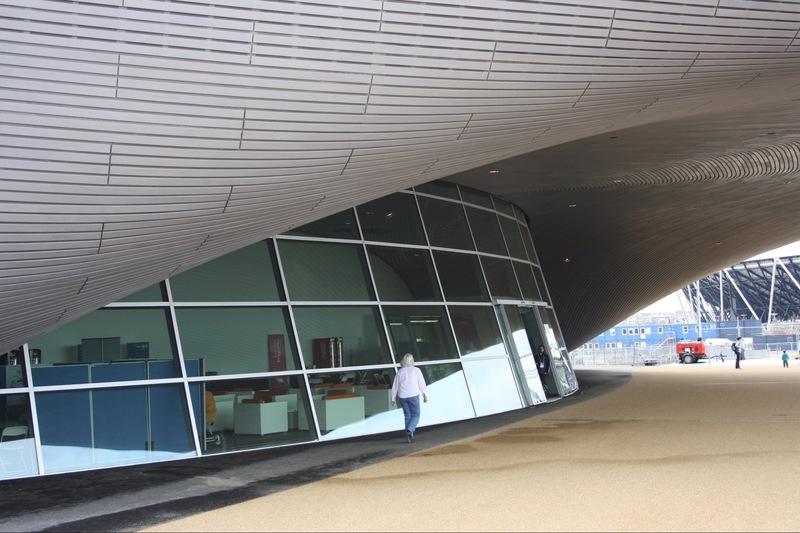 Frustratingly the finished design will not be seen until after the spectator wings are removed at the end of the year when these ungainly extensions are replaced with glass. 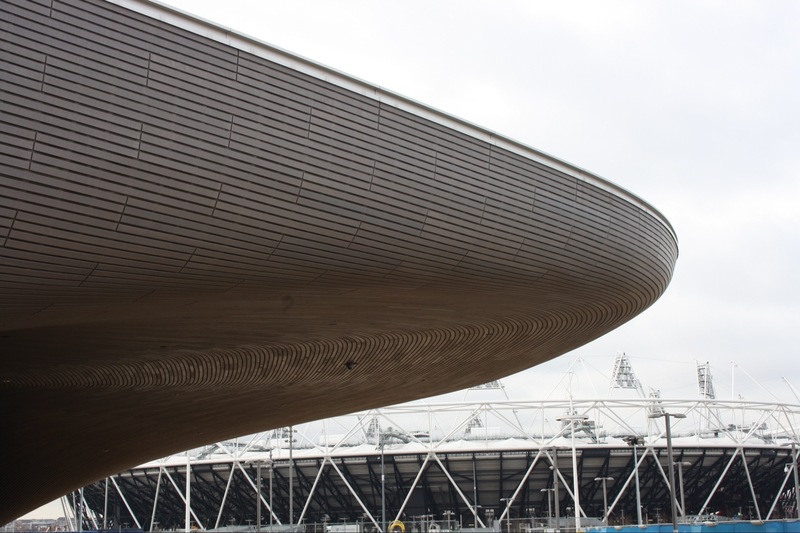 I t is curious to commission a building to celebrate the Olympics which will not work in the way it was designed until the event for which it was built, is over. 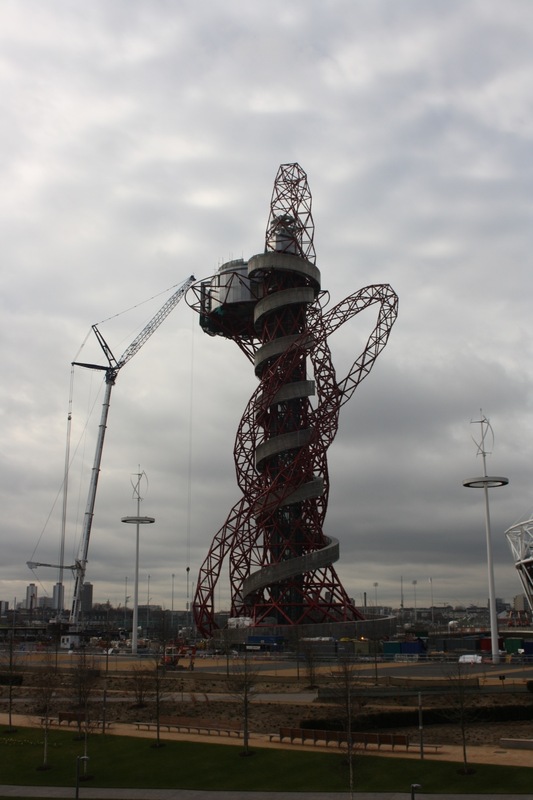 The arcelormittal orbit nears completion but like its name, communicates little. 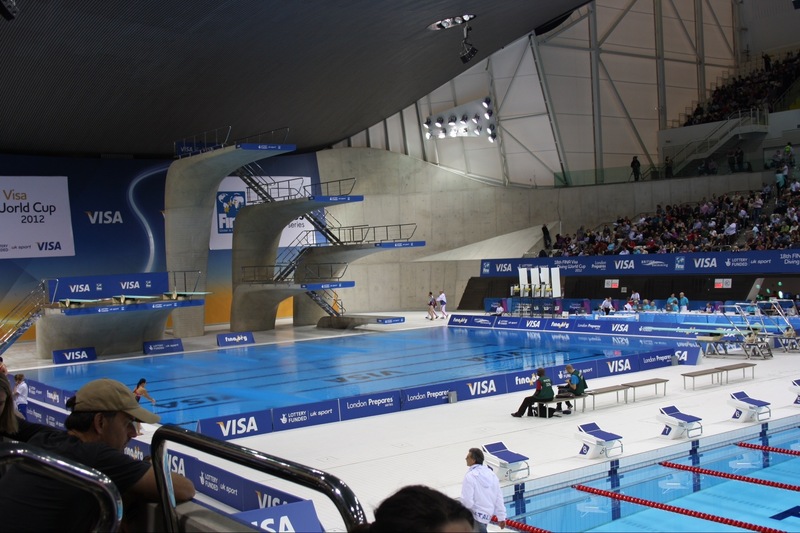 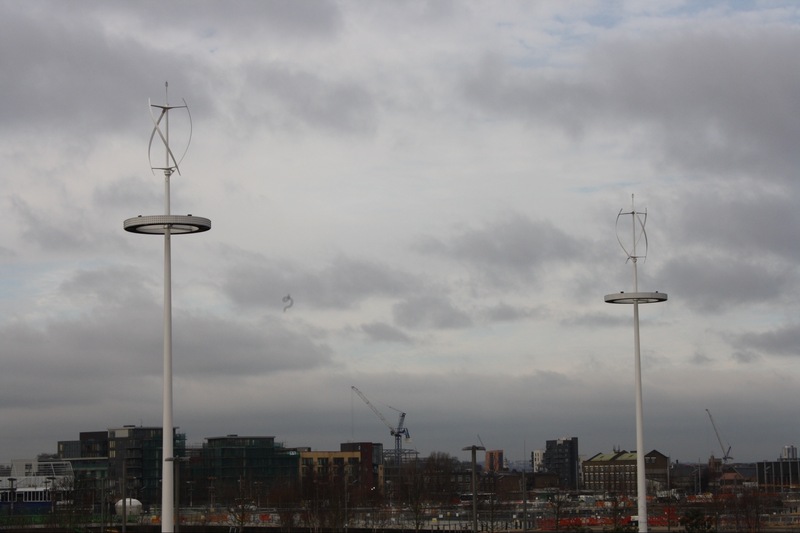 This picture taken after the London Prepares diving championships also shows the rather more elegant combined floodlights and wind turbines.